Seven weeks after the House of Representatives passed the American Health Care Act, today the Senate released a “discussion draft” that would prevent women from using federal tax credits to buy plans that cover abortion and that blocks the nation’s largest abortion mill, Planned Parenthood, from receiving federal funds for one year. This bill would also repeal and replace Obamacare and give states wider latitude in opting out of its regulations. Like the House-passed bill, the “discussion draft” creates a new set of tax credits for people to purchase insurance that includes a spending rider that prohibits federal funding from going towards most abortions. It also cuts off federal family planning funds for birth control, STD testing, and cancer screenings from going to organizations that also provide abortions, a provision that would result in federal funding being cut off from organizations like Planned Parenthood. Under Obamacare, payments of premiums under qualified health plans would result in a tax credit. Thus, if a couple has purchased a qualified health plan, they would be able to receive a tax credit based on the amount the couple paid in premiums for that plan. However, the draft of this bill contains a provision that disqualifies any health plan that provides coverage for abortions from being a qualified health plan. The “discussion draft” will also allow small business employers to receive credit for purchasing a health plan and providing it to their employees. As with the individual plan, this credit does not include health plans that provide coverage for abortion. Liberty Counsel was among several organizations that previously met with Vice President Mike Pence at the White House to discuss concerns and suggestions for protecting unborn life in the new health care plan. As a steadfast opponent of Obamacare’s abortion mandates, Liberty Counsel filed the first private lawsuit against the so-called Affordable Care Act, on the same day it was signed into law. “We are grateful to have an administration in Washington that wants to stop the murder of unborn babies with taxpayer money through Obamacare,” said Mat Staver, Founder and Chairman of Liberty Counsel. “People with sincerely held religious beliefs should not be forced to fund or support abortion. Although the Senate’s ‘discussion draft’ of the American Healthcare Act is certainly not perfect, it strikes an important blow to giant abortion providers such as Planned Parenthood. We encourage the Senate to keep these pro-life provisions within the bill and help defund Planned Parenthood. 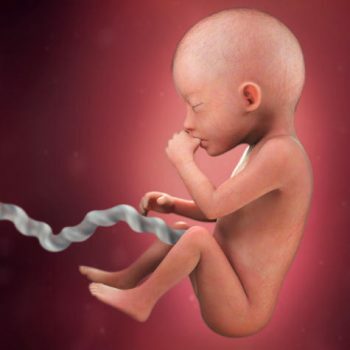 We must fight to make the womb a safe place again,” said Staver.